Makassar. 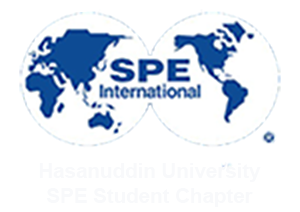 On March 10th 2018, SPE Unhas SC held the first SPE Running in this year. This event was initiated by Human Resource Development (HRD) Division with the purpose to strengthen our bonding between boards and staffs. In this event, we are not running alone, EAGE SC Unhas and some other Geophysics student also join to run with us. This agenda was started at 17.00 and end at 17.45 WITA with around 28 participant. The track of our running is around Universitas Hasanuddin. Hopefully, in this year, we can held this agenda several time, not only to make boards and staffs to stay healthy, but we hope with this agenda we can have a little entertainment from all of our activities as the university students.